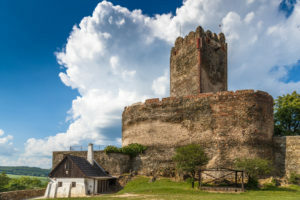 The magical mystery Silesian tour is for romantics who like chivalrous stories from the middle ages and an atmosphere of imposing castles and strongholds. A chauffeured limousine takes you on this excursion from Wroclaw and leads to the medieval castles in Bolkow and Ksiaz, as well as to the impressive Walim mines. The price includes transport, service of licensed guide, entrance fees, VAT. Ksiaz (Fuerstenstein in German) is the biggest and most imposing of the Silesian castles; do not miss its fairy-tale setting and interesting interiors. Another Gothic castle, Bolkow, dates back to the 14th century and although it is now in ruins it attracts many tourists due to its romantic location on a tall hill. The third stop is the mysterious underworld of Walim. Hitler started to build it during World War II. The “Riese” project was never finished, but during a mysterious walk in the underground museum you will get to absorb the strangeness of this enormous underworld city of corridors and secret walls. Such a great region, beautiful castles!